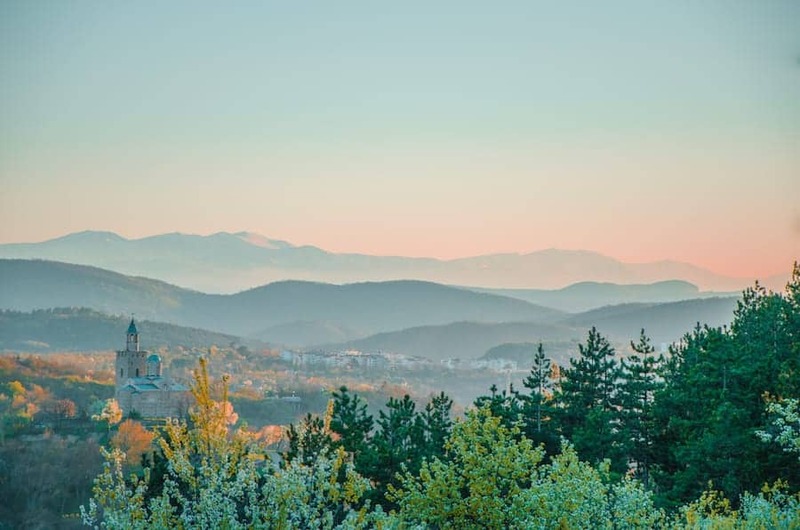 While we both love Sofia, we must admit that Veliko Tarnovo is one of the most beautiful cities in Bulgaria and a can’t-miss for travelers to Bulgaria. 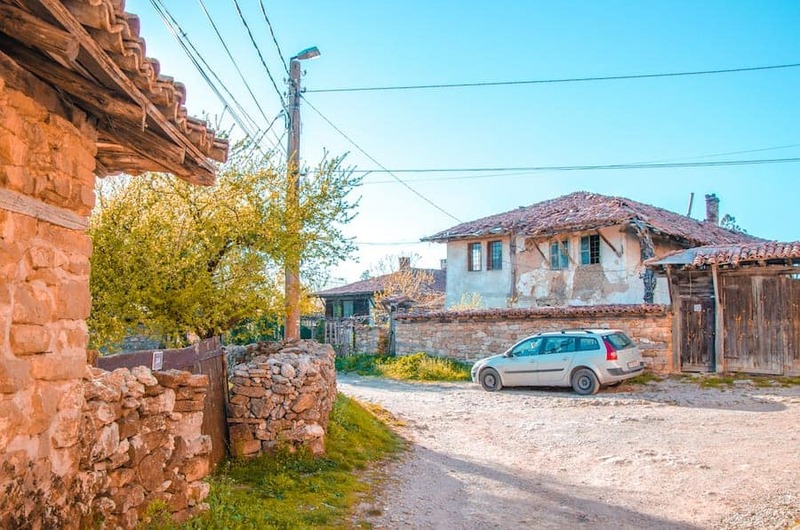 It’s also a popular hub for day trips further afield to explore the small and beautiful traditional villages in Bulgaria, such as nearby Arbanasi, Bulgaria. While we haven’t yet been to Arbanasi, our good friend Annemarie has. 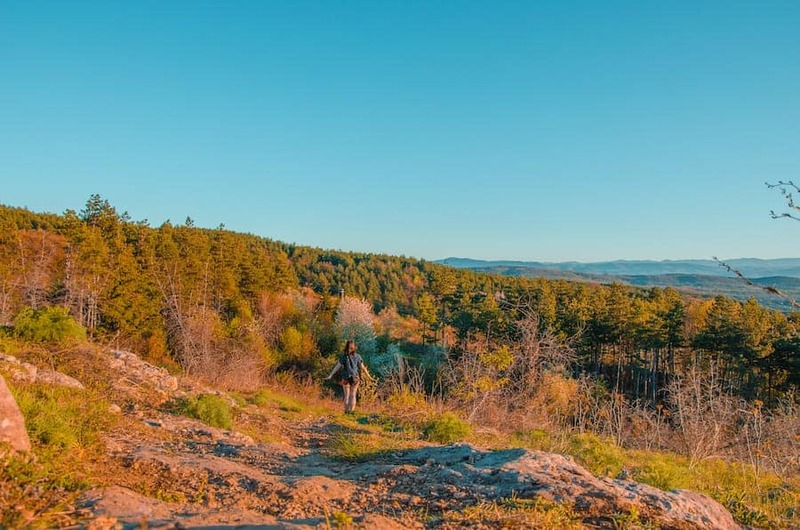 We asked her to contribute a post on all there is to do and see in Arbanasi, Bulgaria and here are her best tips! To learn more about Annemarie of Travel On The Brain, a travel blog specializing in solo female travel, check out her blog and Instagram. 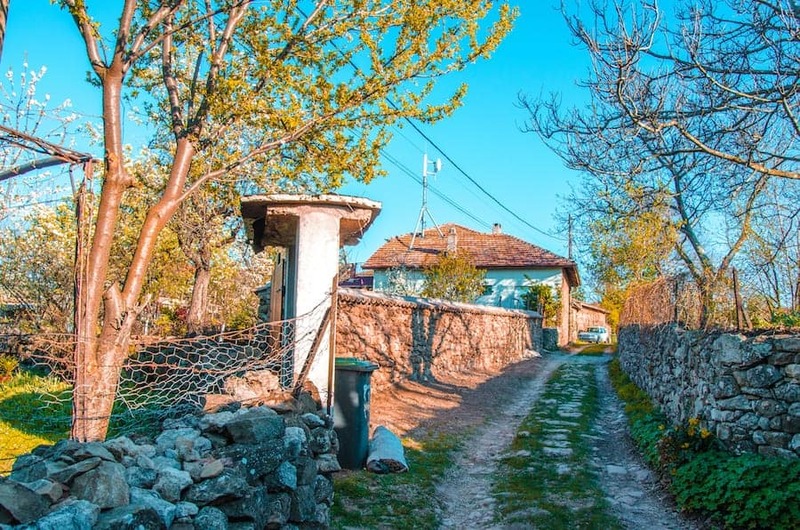 When you travel around Northern Bulgaria you might hear the village of Arbanasi (Арбанаси) mentioned. 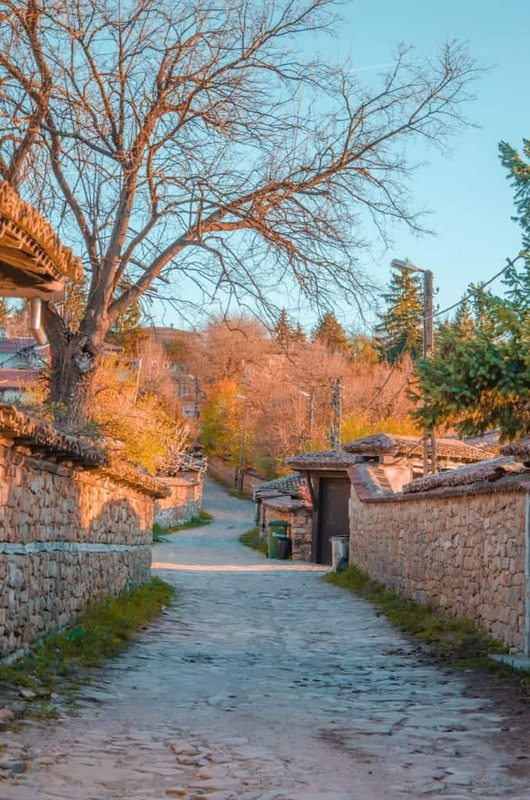 The village is part of the in Veliko Tarnovo Municipality and a perfect day hike from the town of the same name. Like its bigger neighbor, Veliko Tarnovo, it is steeped in history and basically a giant living museum. So if you are wondering where to go and what to do in Arbanasi, here are your top 15 tips. From outside, the Church of the Nativity in Arbanasi might not look like much. It is pretty compact and doesn’t have a cross-like shape. However, once you step inside you will see its absolutely stunning wall paintings, including “the wheel of life”. This church was the first in the entire village to be decorated like this and, as is so often the case with Bulgarian churches, the frescoes were applied in stages. The oldest layer was dated back to the 17th century and the building itself was erected in the 15th century. Its chapel is dedicated to St. John the Baptist. In the narthex, you can marvel at the genealogical tree of Jesus Christ with the twelve ancient philosophers. At the very tip of Arbanasi, you can find the Monastery of St. Nicolas. 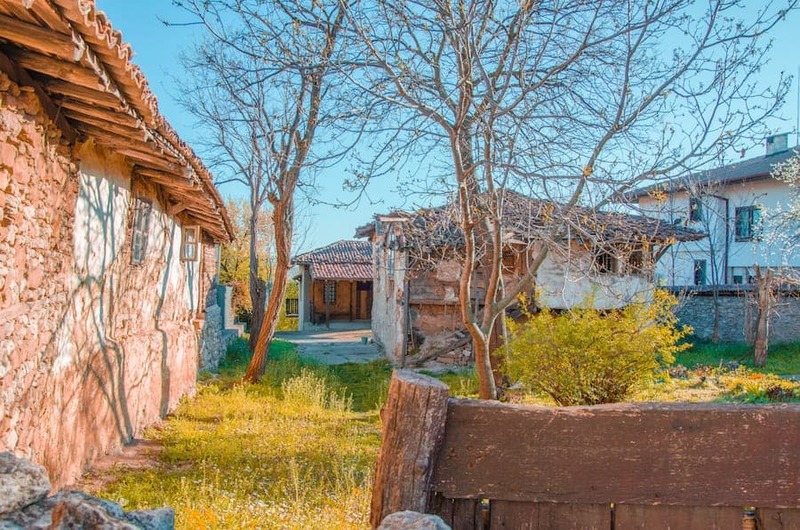 It is still a working monastery and is said to have been founded by the Assens, who ruled the Second Bulgarian Empire, between 1187 and 1256. Sadly, the monastery was burnt down and abandoned multiple times. Its church was in use more often than the monastery. The latter was rebuilt multiple times thanks to donations by locals and has also been opened to visitors. You can even stay here overnight! Though don’t count on the royal apartments (an old tradition with Orthodox monasteries). They are preserved in their historical state, including original royal belongings. At the northern end of Arbanasi in Bulgaria lies the Arbanassi Convent of the Dormition of the Virgin. This too was abandoned, robbed, and rebuilt over the centuries. Here too, the church is decorated with murals from various masters, some unknown, throughout the early 16th and 17th century. Further, there are icons on display with the silver icon of The Virgin with the Three Hands being the most remarkable. The convent had a strategic location. It is assumed that it was situated close to an old fort and a Roman road. Nearby Veliko Tarnovo used to be Bulgaria’s capital in the Middle Ages (12-14th century) after all. One of the best ethnographic / house museums in Arbanasi is Konstantsalieva House, a 17th-century masterpiece in the Bulgarian National Revival style. 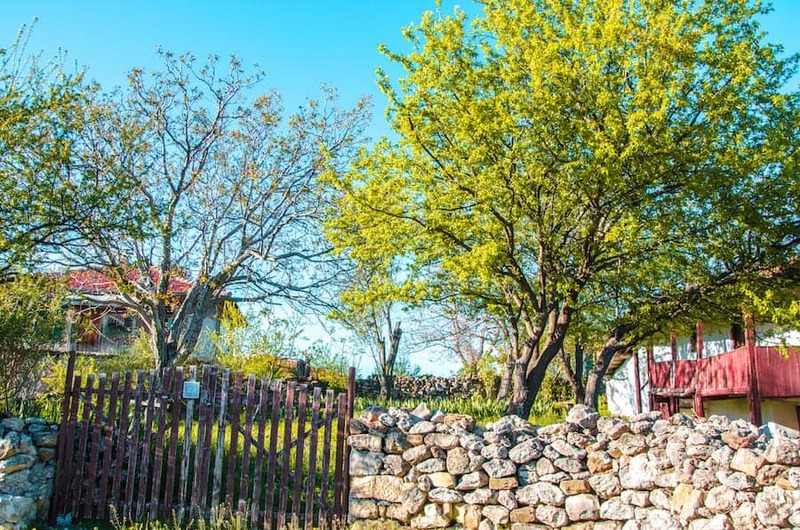 The authentic building comes with original furniture, a stone wall, and two special privies. It used to belong to wealthy merchants. Also, there is a room for the guard and the room for new mothers who weren’t allowed to leave their room for 40 days. Items on display include woolen carpets, clothing, ceramics and metal. Admission costs 6 leva. Generally, Sebastokrator was an official title in the late Byzantine Empire, but it’s also a building in Arbanasi, Bulgaria. It isn’t a historical house museum, but a hotel, blending more traditional wooden furniture with modern rooms. Park Hotel Sevastokrator rooms are affordable and come with airconditioning and WiFi. There even is a pool and you have a great view over the forests around Arbanasi. As it isn’t a big hotel, it’s better to check availability in advance. The Church of Sveti Arhangeli Mikhail & Gavril dates back from the 16th century. It wasn’t actually the first building on the site as a medieval ruin was discovered underneath. Inside the church, you can find historical depictions of the saints Mikhail and Gavril. There is no entrance fee and you can take photos inside. Another monastery worth visiting in Arbanasi is Sveta Bogoroditsa Monastery. Should you need a miracle, it is recommended to pray to the icon of Mary. When you step inside you can also admire the silver dome. The building was completed in the 17th century. 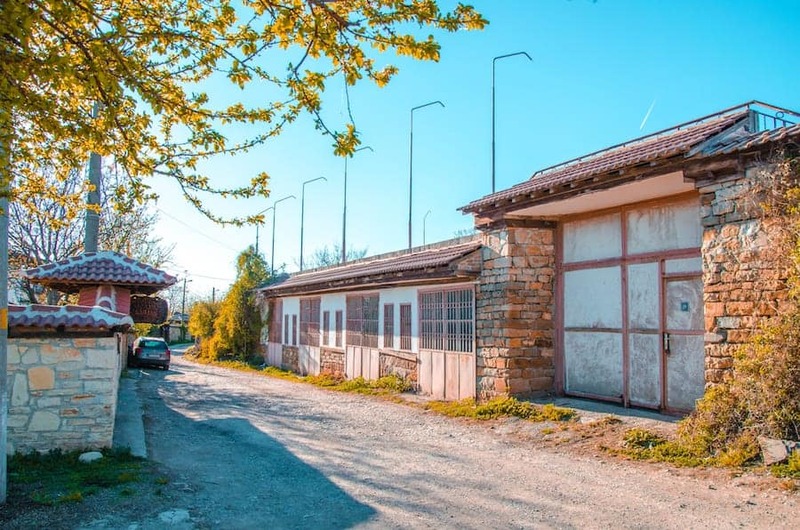 Horse lovers should book a horse ride around the area at Arbanasi Horse Base. This riding school not only trains locals in the art of riding but also offers excursions. Prices start at 25 leva. In the North of Arbanasi you can find the Church of Dimitar, which is made from stone and covered by a double pitched roof. The chapel originally was the church until the rest of the building was added. Again, the first impression is that it’s simple but once inside, you’ll change your mind. Within the quarry walls, there is a throne as well as murals from the 17th century in the late Byzantine style. Sadly, the church is closed to vistors. Speaking of Veliko Tarnovo, it is said to be the prettiest town in Bulgaria and as such deserves at least an entire day (better are two) for the full experience. You can easily get here on a day trip from Plovdiv. There are plenty of things to do in Veliko Tarnovo alone, such as a visit of Tsarevets Fortress, which boasts impressive light and music shows on special nights. 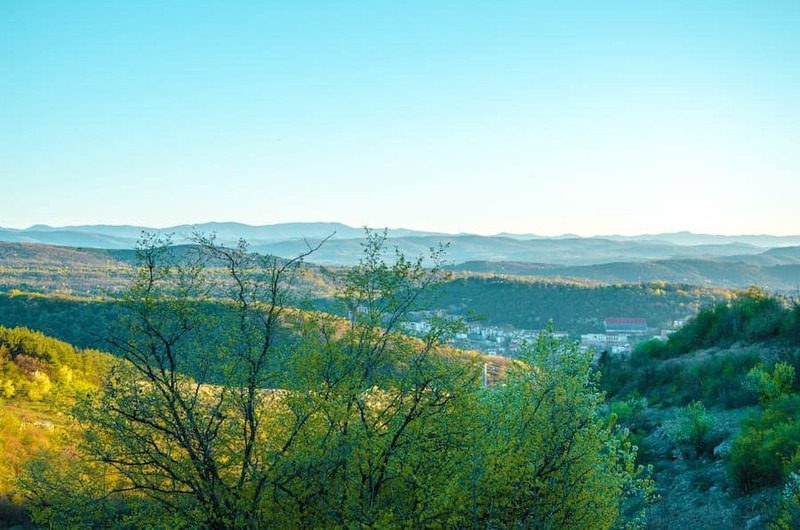 A walk up and down the town’s centre offers amazing views over the river and parks below and scenic hills around. If you appreciate fabulous frescoes, you have to step into Saint Peter and Paul Church. Their creation took over three centuries. While you’re at it, check out Saint Forty Martyrs Church, a basilica decorated with murals inside and out. 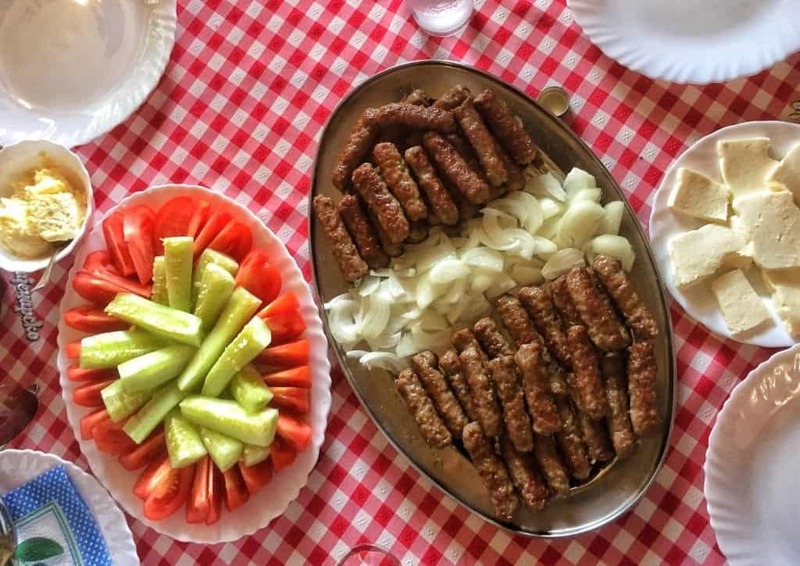 When you get hungry after your hike from Veliko Tarnovo, why not stop by the little mehana, a traditional Bulgarian restaurant. You can’t miss it, it’s located on the main road of Arbanasi. In case you are overwhelmed by choice (or can’t read Cyrillic), try the shopska salad if you’re vegetarian. In case you do eat meat, try the grilled meats and slow roasted lamb. Prices are very affordable. Veliko Tarnovo can easily be reached from various bigger towns in Bulgaria. From Sofia, Plovdiv or even on a day trip from Bucharest it takes 3 hours by car. There are local bus lines operating between the cities as well in case you want to get around by bus in Bulgaria. Trains can be only slightly cheaper but take longer. Check online schedules here. 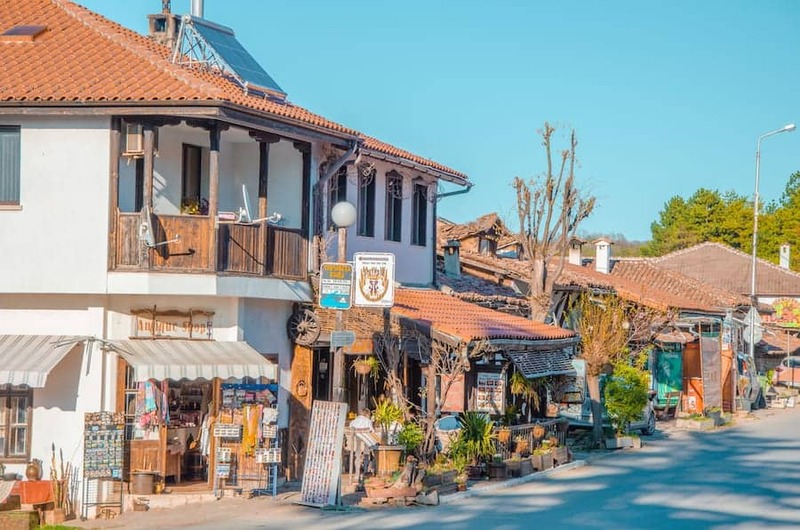 Is Arbanasi Worth a Day Trip? Veliko Tarnovo itself is absolutely worth a trip and an afternoon in Arbanasi a great idea to really experience historical Bulgaria. You can take a taxi from Veliko Tarnovo up to Arbanasi or book a day tour in case you are not keen on a hike. But the views along the way are absolutely mesmerizing. Budget: If you’re looking for the best hostel in Veliko Tarnovo, there’s one easy answer: Hostel Mostel! 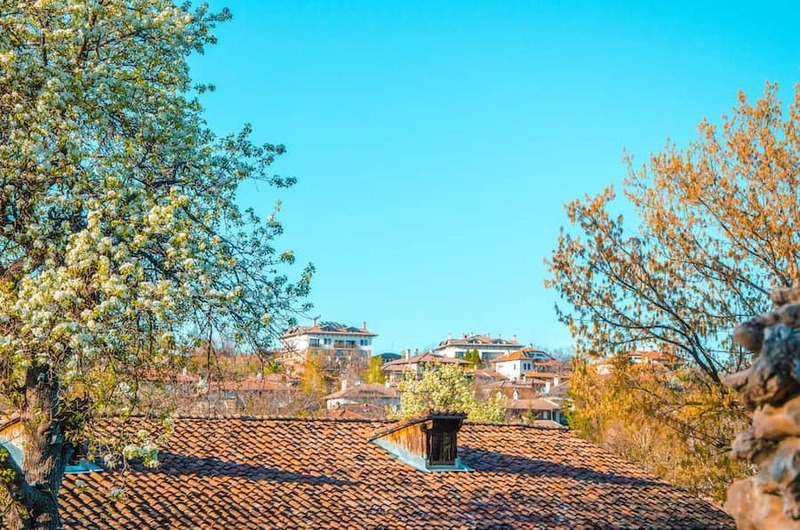 This friendly, social hostel in the heart of town is a Veliko Tarnovo institution – nearly every backpacker who has come through Veliko Tarnovo has stayed here, and for good reason! It has a social but not party-crazy vibe, spacious rooms with plenty of space to spread out, a comfortable lounge and kitchen area to hang out in (and outdoor space to enjoy in the summer), and they even help organize tours and day trips. I stayed here during my overnight in Veliko Tarnovo and loved it. However, I will say that two premium things I love in hostels – privacy curtains and easy access to outlets from every bed – are missing at Hostel Mostel, but everything else (especially the free vegetarian dinners and amazing breakfast spreads!) makes up for it. Check prices, reviews, and availability here. Mid-Range: Brand new and quietly trendy, Base Camp Guesthouse is a sign that things are slowly changing in sleepy Veliko Tarnovo. Comfy and cozy, more a home than a hotel, this guesthouse is the perfect place to stay if you want more privacy than a hostel but you don’t want to pay a fortune for unnecessary things. Travelers love the free breakfast, friendly staff, comfortable beds, and general cleanliness of everything! Keep in mind some rooms have a shared bathroom, and others have private bathrooms, so when booking, make sure you select the right option for the level of privacy you want! Check prices, reviews, and availability here. Luxury: For the nicest place in all of Veliko Tarnovo, don’t miss General Gurko House. This house is, well, literally a house – it can fit up to 6 people, so it’s perfect if you’re traveling with a large group or with a bunch of friends. Complete with a full kitchen (and perks like an espresso machine), several bedrooms each with their own private bathroom, and a large balcony that can easily fit everyone in your party. 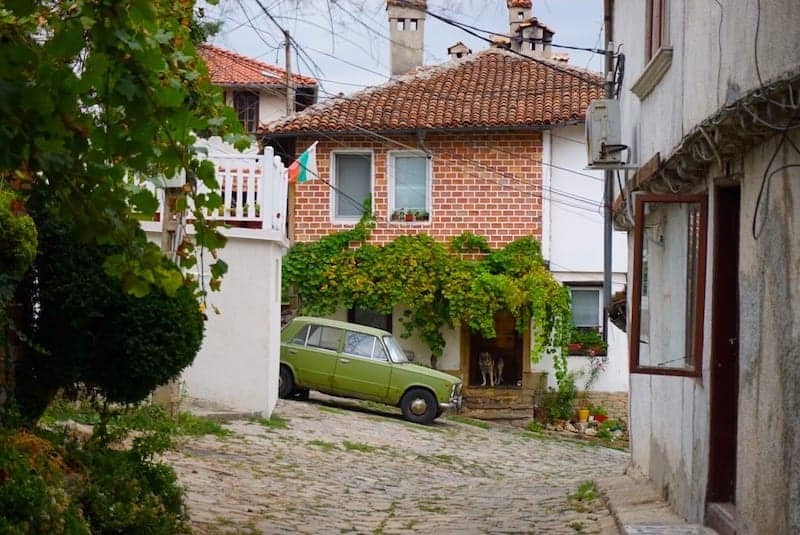 On a quiet street in a traditional house, this is the ultimate way to experience Veliko Tarnovo! Check prices, reviews, and availability here. Make sure you always travel to Bulgaria with a valid travel insurance policy. While the country is safe, accidents can happen anywhere. If you experience an accident or theft, travel insurance will help you recover your costs and enjoy the rest of your trip. 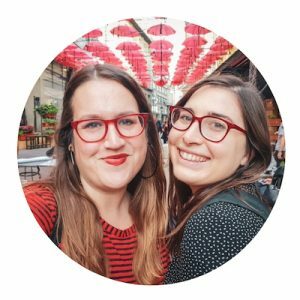 Thank you again to Annemarie for your excellent guest post! Are you planning a trip to Arbanasi? Let us know in the comments!